This phone case design was inspired by the tropical and heavenly pretty pink flamingos. With each element handrawnd and coloured with watercolours, we wanted to achieve a bit more different and complex design for your phone. 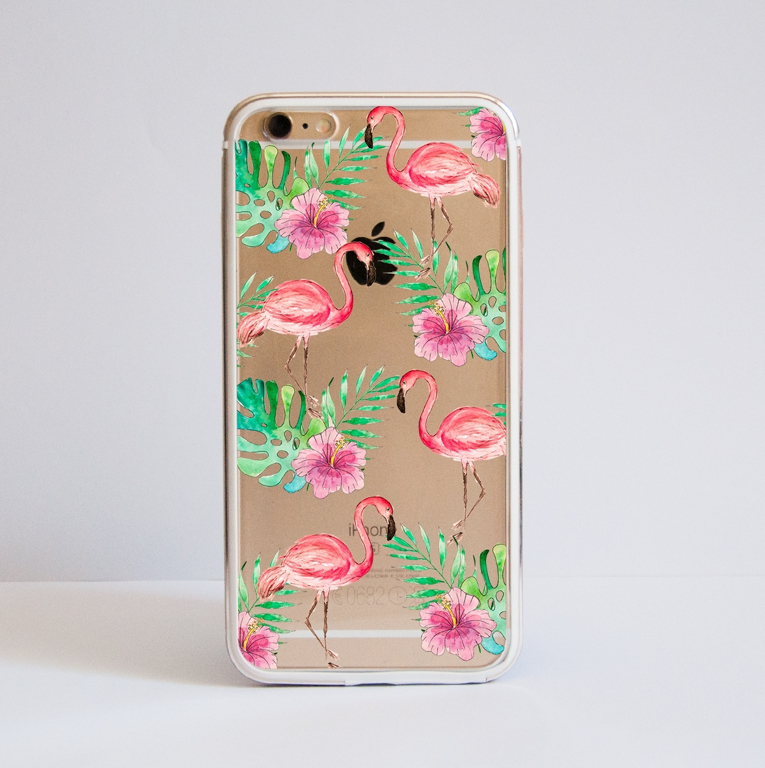 We carry our phones everywhere, so why not protected them in a pretty way? The frame goes around all edges, so it provides a bubble wrap protection. 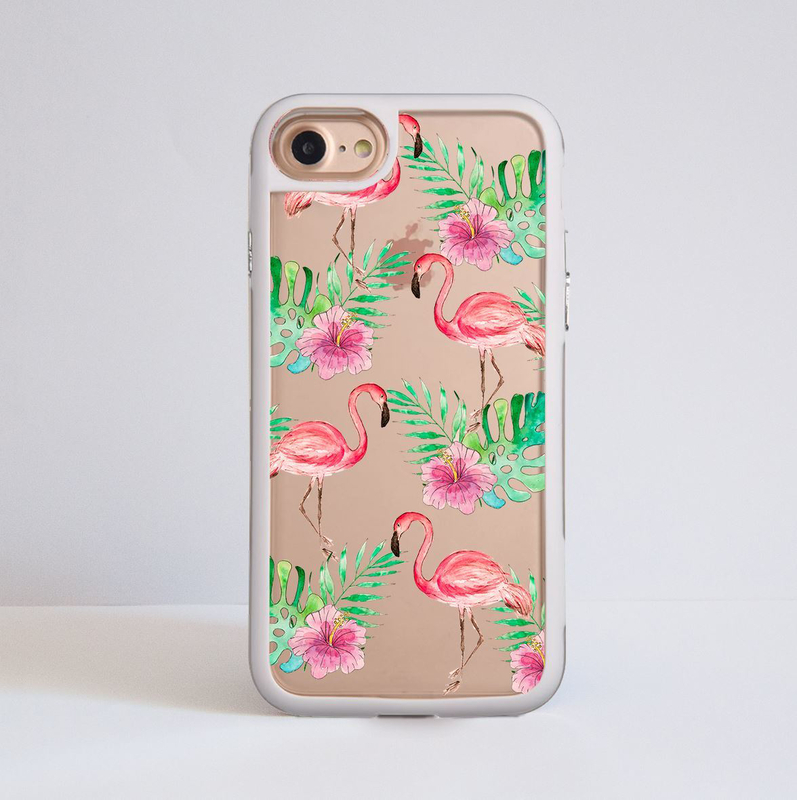 The images above are showing example of an iPhone 6 Plus case. The cover itself is made out of hard transparent plastic and the chosen design is printed directly onto the case. We use special UV inks that ensure high quality print with vibrant colours and long life. Please note that due to the different shape and size of each model there will be slight variation in the printed design. The final artwork may look more or less zoomed in or out as well as some devices require special holes in the cases for camera and speakers, which may obscure some parts of the design too.